Home / Blogs / Do Bad Credit Mortgages exist? This week, the MO team are talking all about bad credit mortgages. Bad Credit Mortgages – are they a thing? Having bad credit and applying for a mortgage can go one of two ways. Number 1: your lender will charge more interest because of your credit score, meaning it’s going to cost you a lot more than it would if you had 'good' credit. Bad credit borrowers are seen as higher risks by lenders, because your credit score reflects your history of repaying forms of credit. As a result, those considered a higher risk will be given higher interest rates to reflect the risk they could potentially pose. Number 2: lenders can pick and choose who they offer ‘bad credit mortgages’ to, if they will offer them at all. Whilst many lenders can, and will, let those with bad credit borrow, a lot of the high street lenders are in a position which means they can be choosey. Which, if you have bad credit, they may not offer you a mortgage at all. The rejection can feel disheartening, but it’s because of the potential risk you could pose based on your credit score. However, there is a third, but we’ll go into this further down… All you need to know for now is that your credit score has a direct correlation to your mortgage. If you’ve got good credit, lenders will love you, and if not, well…some may, but quite a few won't i'm afraid. However, fear not. For the MO team, it’s not hopeless if you have bad credit. 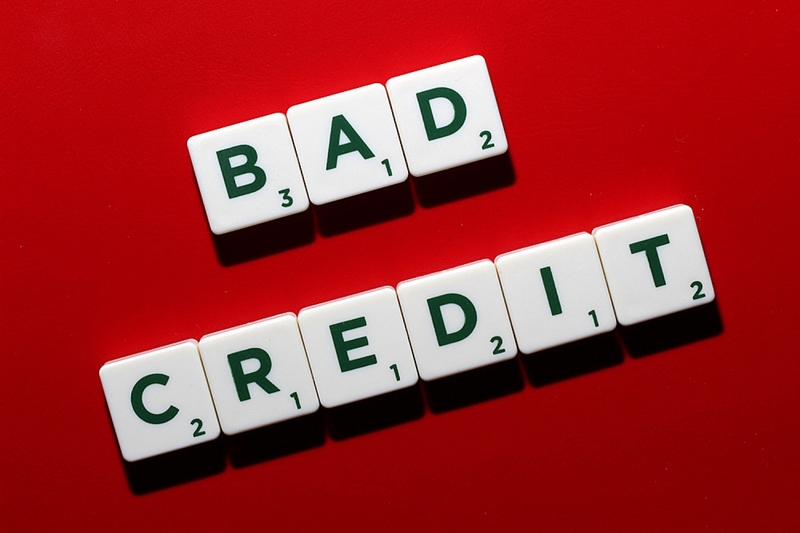 There’s a multitude of reasons for bad credit, ranging from financial links to someone else with bad credit, late repayments on loans or credit cards and even being the victim of fraud. It’s important to check your credit score often for two reasons. The first, is to flag up any errors on your report, cases of fraud for example. The second is to monitor your credit score. Whilst having poor credit isn’t ideal, having no credit is just as bad. Lenders will look at a non-existent credit score in the same way as a bad credit score. So, if you’ve got no credit, it may be time to get your name on some household bills, get a low limit credit card and make regular repayments on it. If you’ve got bad credit, and want a mortgage, there are two options we recommend. The first, is look to improve your credit – it may take a while, but it’s beneficial and will make a huge difference in the future. Better credit means more lending options are going to be open to you (for mortgages, credit cards and loans) at better interest rates. Option two, is to look into guarantor mortgages. Which we’ll explain, below. Now, we’ve already done another blog on Guarantor Mortgages, but since you’re here, we might as well explain a little bit about them. Guarantor mortgages somewhat negate the need for you to have great credit, as well as having a high enough income amongst other things. With a guarantor mortgage, you need to have someone to sign and agree that they’ll keep up any mortgage repayments you miss – a guarantor. Most lenders will ask that they’re your parents or grandparents, or another close blood relative, but they will most definitely need to be homeowners, have good credit and an income (so they can prove they could, if needed, manage your mortgage repayments). If you want to learn more about guarantor mortgages, click to our blog or visit our Articles section for loads of resources on everything to do with mortgages. If you’re not keen on getting a guarantor mortgage, then there’s always the option to improve your credit. Whilst it may seem like a long road, it’s worth it. Better credit means better financial options in the future, especially for loans and credit cards. And, when it comes to remortgaging, good credit is going to be beneficial. Little things that you can do is to register on the electoral role, local and national, and try and remain at an address for over a year, improving your credit score slightly. Surprise surprise, we’ve also done an article on How to Improve Your Credit, so check it out for more in-depth information. The great thing about our site (not to big ourselves up too much…) is that you can compare 1,000s of mortgages based on your personal information. The info you provide to us allows us to search for a mortgage that’s right for you. We show you the mortgage options that are best suited to your situation, so, have a browse and see what we can do for you. Whether it’s a New Mortgage or a Remortgage, we can help find you great deals! Until next week, that’s it from the MO team.